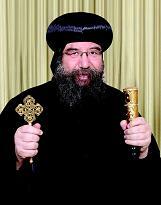 - St Paul Theological Seminary, Enrichment program is run under the guidance of H.G. 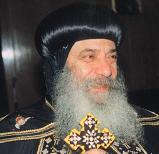 Bishop Mina and with the blessings and encouragement of H.H. 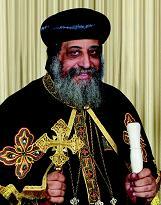 Pope Tawadros II. - The program is 24 courses offered mostly in English over three years. Each course is at least 9 lecture hours in 2-days (Fri - Sat) or over a weekend, once a month. - The program is open for all Canadian candidates who completed at least high school diploma and completed the admission process. 1. A complete application form. To submit this application form online click here. 2. A personal statement up to 750 words outlining any services you are currently performing in your church and your reasons for wanting to attend the Theological Enrichment Program. A typewritten report is preferred. 3. A recommendation letter form should be filled by your Father of Confession confidentially and included in sealed envelope with your application package. 4. A copy of the highest degree attained but not less than a certificate of high school completion. 5. A one-time registration fee (currently $75) to be submitted online, see bottom of the page. This admission process will determine whether or not the candidate is accepted into the program. Click to download the recommendation letter form form. The application form can also be submitted online. Click here for Online Registration. - Once the application is evaluated and accepted, applicants will receive an email message confirming their admission acceptance and can then register for any of the upcoming courses.